a city that, unlike so many other German cities, had been mostly untouched in the bombing campaign. Overcast weather and cloudy Winter skies had kept the bombers away for several weeks. But that was bound to end. The skies, according to all reports had cleared-ideal for bombing. And so off they went, laden with tons of incendiary bombs, enough to burn this beautiful city to the ground, which was exactly what the English airmen intended to do. Dresden, the so-called “Florence of the Elbe”, capital of old Saxony, was a showplace, a city of art, beautiful architecture, and culture that made German hearts swell with pride. Among the architectural masterpieces of Dresden was the magnificent “Frauenkirche”, consecrated in 1734, the place where JS Bach gave the first public performance of the church’s equally magnificent pipe organ. This great domed masterpiece defined and dominated the city’s skyline for more than two hundred years helping to make Dresden a fixture on the old European grand tour, a place of civilization, refinement and beauty. BY early 1945 many of it’s citizens had come to believe that the allies would never bomb their fair city, that they could never bring themselves to do it. It would be too much like dropping bombs on Rome or Paris. The war was drawing to a close, and it seemed reasonable to believe that Dresden would survive the war intact. Over time this belief seemed to them less like wishful thinking and more like a reasonable expectation. With each passing day the city residents breathed a little easier. So they planned, or perhaps failed to plan, accordingly. Anti-aircraft guns ringing the city were shipped to Leipzig and Berlin or to other cities where they were more sorely needed and the crews of those idle guns assigned elsewhere. Powerful searchlights that probed the sky were likewise dismantled and shipped away. Few large-scale, modern, properly-ventilated public bomb shelters were built. Firefighting crews were kept at normal, almost peacetime levels and Luftwaffe interceptors based a few miles away were under strict orders, because of low fuel supplies, to go after enemy bombers only on the orders of a regional, instead of a local commander, a situation that, for all practical purposes, would keep the planes on the ground precisely at the moment when they were most needed. All these things insured that when and if the bombers came for Dresden, the city would be entirely defenseless and ill prepared. Furthermore, in prior months, thousands of homeless refugees from war torn places had fled to Dresden making it a sort of massive sanctuary from a world at war. Thus the population had swelled to far above normal- a disaster waiting to happen. The February ’45 bombing was not the first for Dresden. Bombs had fallen on the city the previous October but only it seems, by accident, when a few bombers that had strayed from their intended target took a detour over Dresden and simply got rid of their loads. The damage was minimal. Curiously enough Nazi city officials, wanting to avoid a panic, made sure that the news of this event was suppressed and that few people outside the area of impact knew about it. It wasn’t even mentioned in the local papers. Another light bombing occurred in January of ’45 with similar results. And so the occupants of Dresden continued to believe that they were lucky, beneficiaries of divine protection. The light bombings were, for Dresden officials, an excellent opportunity to wake up and make the necessary preparations. They could have consulted with their plucky neighbors to the North. Berlin had been hit time and again with massive bombing raids. But the resourceful people of that city had taken useful, effective measures that kept the damage to a minimum, measures that were, for the most part, also available to the officials of Dresden. The failure of those Nazi city officials to make any but the most paltry preparations for that which they had to know was inevitable doomed their city. Indeed their luck was running out. Little did they know that the allies had failed to hit Dresden for no other reason than this: they simply hadn’t gotten to it yet. Their turn was coming. Dresden was on the Allied hit list, just near the bottom. Allied planners had about as much regard for beautiful German architecture and art as the Germans who had bombed London and Coventry with incendiary bombs four years earlier. Now, the English pilots, benefiting from years of experience and practice, were much better at this deadly business than the German bomber crews who had flown in the famous Battle of Britain. 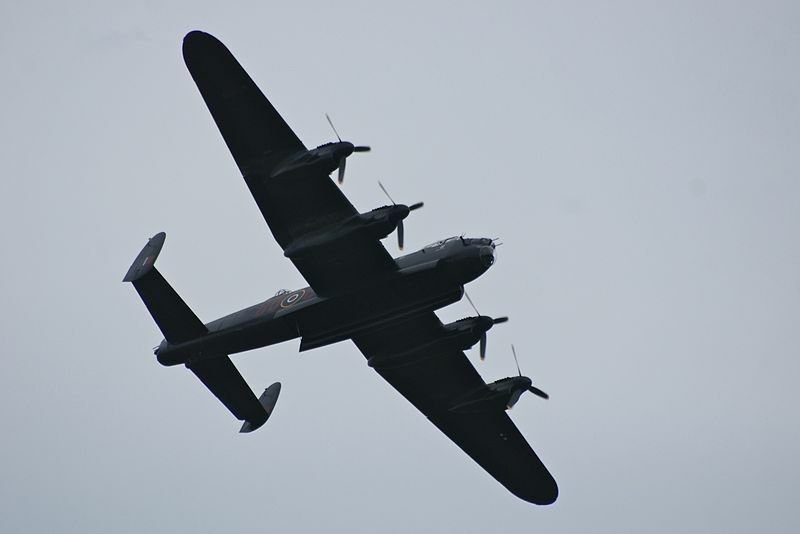 In addition, the Lancaster bomber carried a much heavier payload than the German Heinkel 111 making it far more deadly. Allied bombers this late in the war carried a mixture of heavy explosive and incendiary bombs, but mostly the latter, small four pound devices dropped by the thousands designed to do nothing but catch things on fire. Dresden wasn’t the first German city to be pelted from above by these nasty devices. In July 1943 large portions of Hamburg had been destroyed and thousands killed. But it had taken several raids to accomplish this. And it had cost the allies dearly. Many bombers went down and many crews were lost. Shortly after 10 pm on the 13th the air raid alarms went off in Dresden and the bombs began falling. It took about thirty minutes for the bombers to fly over and do what they had come to do. Not a single bomber went down. To those bomber crews, it was one of the easiest runs they had ever made. In the unlikely event of a major raid the people of Dresden had been given strict instructions to stay in their cellars and shelters until they heard the “all clear siren.” And so the ever-dutiful Germans, for the most part, did as they were told-with tragic consequences. Had they stayed outside in and around their homes and buildings and battled the small fires set by the tiny incendiary bombs, those fires might never have spread to become the firestorm that in a few terrible hours consumed most of the city and killed so many thousands. Or if they had simply, in that crucial first hour grabbed essential items for cold weather survival and fled the city the fires would have raged but many more would have survived. Instead most huddled in cellars and shelters and didn’t emerge until the all clear sounded around eleven o’clock. By that time the fires were raging out of control. Many buildings had collapsed and fallen blocking the streets trapping tens of thousands in a fiery inferno with little chance of escape. By that time staying in the city meant a likely death. In a terrible irony their obedience to official directives became the worst thing the people of Dresden could do. The British were not finished. A second wave of bombers, this time with double the number of planes, appeared over the city at about 1:15 am, February 14 dropping many tons of explosive bombs and nearly a half-million additional four lb incendiaries in a run lasting approximately forty minutes. Since so much of what they intended to bomb was already a mass of flames they targeted whatever had not already been bombed, now clearly visible in the firelight- the adjoining suburbs and the railroad marshaling yards in particular. No alarms sounded to warn the beleaguered populace of this second raid; the alarm devices had been destroyed. The resulting firestorm, a massive hurricane of destruction that suffocated those it did not incinerate, was a rare event. These British bomber crews (who customarily bombed at night) had seen a great deal and bombed many German cities, but they had never seen a city go up in flames like Dresden. Even battle hardened, bitter airmen crossed themselves and prayed for forgiveness when they saw the firestorm below and felt the heat from the floors where they stood. It had usually taken several trips on separate days to a city to accomplish such a thing. This time, the sober observers in the sky could see that the preceding bombing run had been enough-more than enough. Below them a wild stoppable firestorm ravaged the once beautiful city. In that massive conflagration far below, it seemed that nothing could survive, particularly anything of flesh and blood. Below them was pure Hell. They dutifully dropped their bombs and incendiaries anyway as they passed over and quietly made their way homeward. There was no opposition from antiaircraft fire or interceptors. The gunners on the bombers were alert but idle the entire long trip. It had all been so terribly easy. February 14 was Ash Wednesday, a terribly fitting but appropriately named day for Dresden, a city that in a few horrendous hours had become a place of ashes and death. When dawn broke one young German survivor, Gunther Kannegiesser, awoke from his his refuge near the river and wandered into the battered city and through the still burning rubble to look for his family. He stumbled upon an especially bizarre sight: “I saw several people sitting on benches. As I approached, intending to ask them for help, I saw that they were all dead….” When Gunther finally found the shelter where his family had sought refuge the entrance was blocked by burning rubble preventing his entrance. He later learned that all inside had perished. His sad story was but one of many thousands of similar tales. Astonishingly, the allies were not finished with Dresden. Daylight came. Now it was the Americans’ turn. As thousands of burned, weary and dazed survivors wandered about the fiery ruins looking for missing loved ones and friends they heard a dreaded and familiar sound above them. They looked into the sky and saw dozens of B-17s. Few bothered to look for shelter as there was none available. Fortunately, this bombing run was mercifully brief, lasting only about ten minutes. It was but a small group of Eighth Air Force bombers, a portion of an enormous group that had left England a few hours earlier bound for Dresden. Most of the group, for various reasons, overshot or missed the city entirely and ended up bombing other towns and targets. For the few that did make it over Dresden, there was little left to bomb. They dropped their loads anyway and made for home. Again there was no opposition, no anti-aircraft fire or ME 109 or ME 262 (jet planes) interceptors rising into the air to shoot at them, the kind of mission Americans called “a milk run”- the sort of mission they preferred. The bombing of Dresden, possibly the most severe and surely the most controversial allied bombing of a German city in World War Two, was over. Most of the city had been rendered a smoldering ruin, a colossal heap of ashes and bodies, a monument to the horrors of modern warfare. In my next article, part two, I will address the controversial legacy of the Dresden bombing and the still lively debates surrounding the event. My principal source for both articles is the book: DRESDEN TUESDAY FEBRUARY 13, 1945 by Frederick Taylor.